As a former National and World International Figure Skating competitor and medal winner, Jacki has always had a passion for skating. She started at the young age of 6 and quickly fell in love with it, skating first for fun and skill, then moving on to competition. She trained 8 to 10 hours per day, 6 days a week, up through her retirement from competition, learning to master the art of edges and gaining strength in technique and speed. Since then she has gone on to instruction in power skating, and has coached players with the NHL, IHL, OHL and Division One college hockey. She also continues to coach National and International figure skaters. Jacki truly enjoys teaching those that want to be competitive and those that want to improve their skating abilities. Jacki’s constant pursuit of understanding and the desire for speed have driven her back to competition in the sport of speed skating. She is proud to be a Gold Medal winner in the World Masters Competition in Germany 2012. Jacki’s focus is on the technique of skating and the way the body works. She teaches her students how to get pressure into the ice to generate speed, working with each player to find their individual technique and to understand how to use it to their advantage. Learning the technique of skating, including strides, crossovers, forward to backward movement, stopping and balancing drills, will help skaters in every other form of their skating ability. With her extensive knowledge of figure skating and speed skating, Jacki works with her students until they get it, and feel the right approach. She goes above and beyond to help her skaters because she truly loves the sport. Growing up I was never the best skater. I always relied on my skill and hockey IQ to produce offense. Once I started skating with Jacki, she brought my skating to the next level and now it is one of my best attributes. Every summer when I come back home from my season I skate weekly with Jacki. She is very creative and always comes up with new drills every time I skate with her. She is also passionate and cares about her students and wants to see them succeed. Growing up I spent hours and hours playing roller hockey in the basement of my house. My dad had built a rink especially for me so I could play with my older brother, who played hockey as well. My dad was inspired to build the rink because of my love for the game of ice hockey. This ultimately led me to love the game of ice hockey as well and became my passion. I was determined to be a great player and was instrumental in helping the teams I played on (most of my life I was on the Long Island Gulls) win high profile tournaments. My next challenge was to be invited to the USA NTDP tryout and to make that team. I attributed my skating time with Jacki Munzel instrumental in making that team. She knew what I needed and was passionate and dedicated as I was. Jacki takes pride in what she does and will work to get you to your next level. I have been fortunate to work with Jacki for over four years. As her speedskating coach, I was able to observe her determination, work ethic, and incredible talent for skating as she strove towards her goal of qualifying for the 2014 Olympic trials. The level of performance she reached as a masters skater was nothing short of exceptional and is a testament to her athletic ability and her character, especially given the limited ice time that was available to her here in New York. She truly is a role model. I have also been fortunate to work alongside Jacki as a fellow coach. 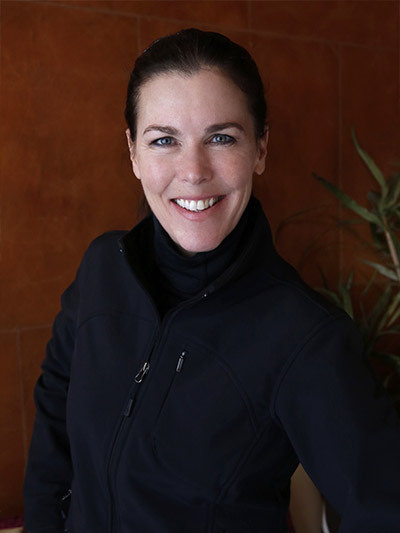 Her multi-disciplinary knowledge of skating is unparalleled and this allows her to provide her students with the best of both worlds – the speed and power that she learned as a world-class speedskater and the balance and agility that came from being a world-class figure skater. This expertise is coupled with a caring yet driven approach to coaching as she pushes her students to become the most efficient and effective skaters they can be. If you want to become a great skater, work with Jacki. I have done many different on and off ice training programs, but none that compare to skating with Jacki. She will correct your stride making you faster and more explosive while giving you a great conditioning workout at the same time…I felt a drastic change during the game after skating with her. She is the best around and with her help I accepted a scholarship to play Division 1 hockey at the University of Massachusetts. Simply put, I would not be where I am today without Jacki Munzel. Working with her when I was younger set the foundation for the skater I could become…Her unrivaled knowledge of pressure and technique have allowed me to excel at the Division 1 level…She is the best teacher because she is also the best student. As the competition increases, as a hockey player, skating is the most important part of the game…In the past few years skating with Jacki, my skating has improved tremendously and because of that I am now more effective on the ice. Every time I step on the ice now, I have more confidence knowing how hard Jacki and I have worked to improve my stride, and it has brought my game to a new level. My son’s skating has improved greatly since he began training with Jacki. His balance, stride and overall skating ability have grown by leaps and bounds… Jacki is demanding, but kind. I have the utmost respect for her and her teaching methods. My son is becoming a better skater, has fun and looks forward to every lesson with Jacki. Training with her has been a tremendously positive experience for my son.